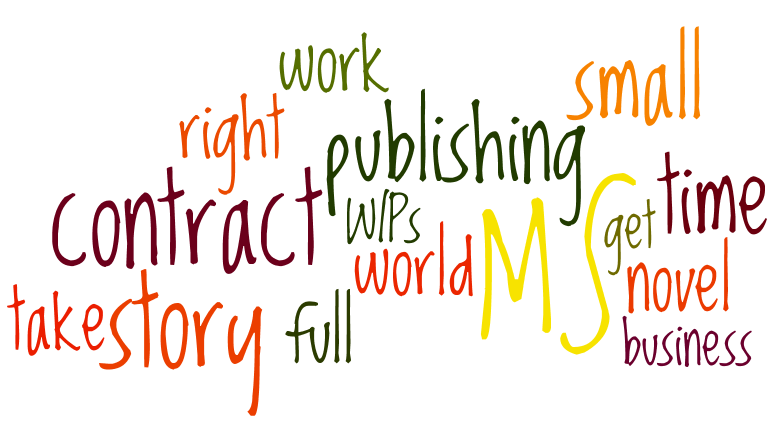 This post using word clouds inspired me to make this word cloud of all my Ink Spells posts. Apparently eating pizza for four days has influenced the cloud, but the proximity of house and keep is only coincidence. 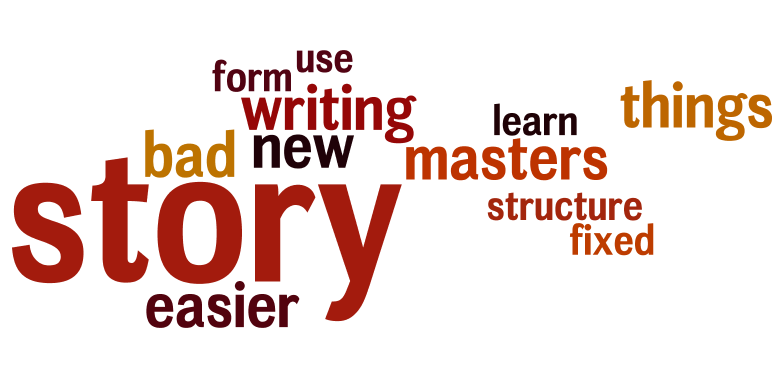 I’m tempted to write a post using only wordle-words, but instead I will use wordle-words to write a post about writing. p.s. These wordles were all created from my actual posts on these topics. Well, this wasn't supposed to go up until tomorrow, but apparently it couldn't wait. 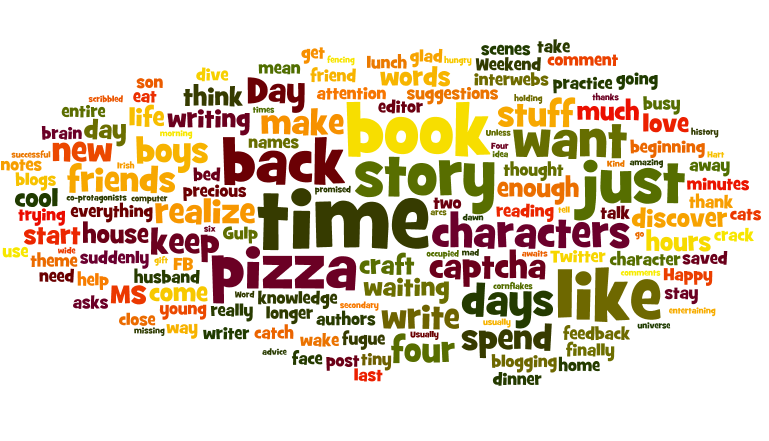 I too love wordle and have used it to help me hone in on a character's personality. I love seeing these visuals of your writing journey! @Lindsay Wordle is always a good distraction! @Kirby Ooh, I hadn't thought of it for character building. Cool! What a fun way to review! Cool idea, Susan! I shudder to think what wordle would come up with for my posts. I've never hear about Wordle. I must now go forth and discover it's wonders. I love how "cats" got into the beginning, and "tao" and "post-apocalyptic" got into the querying one. So funny!!!! And yet serious, too. 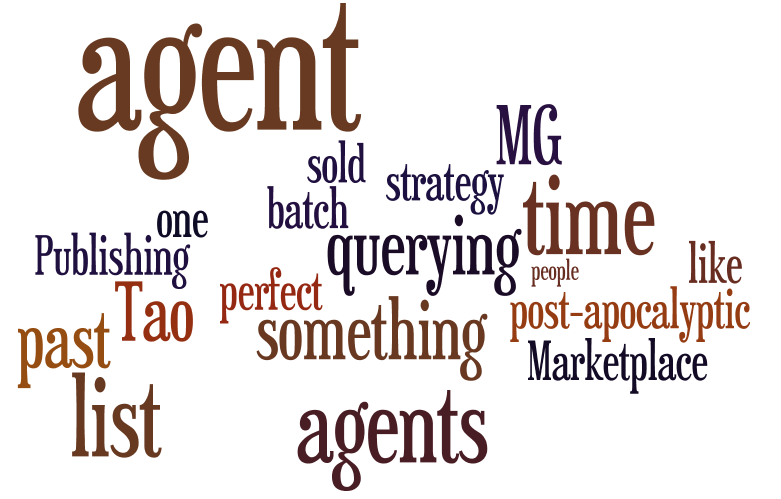 For some reason I just love word clouds! 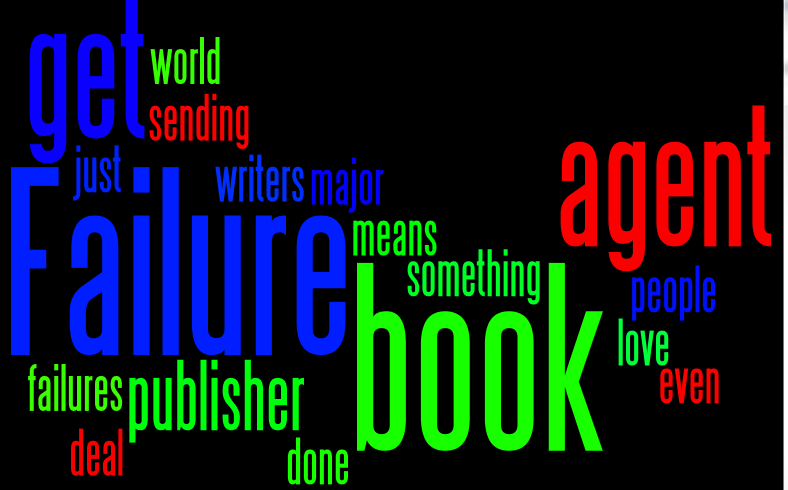 @Sharon Oh, what a cool idea – maybe I'll make wordle art of my next book! Love the shift to the black background in the rejection cloud.